For such a popular holiday, Valentine’s Day is marked by an interesting historical fact—we’re not really sure of its true origins. The actual St. Valentine is a martyred figure associated with three stories from the early Christian Church. In one, St. Valentine was a Christian priest thrown into a Roman prison for preaching his beliefs. On February 14, he was beheaded not only for disputing Roman deities but also for allegedly curing the jailer’s daughter of blindness—a miracle not looked kindly upon by the Romans trying to suppress the upstart religion. His farewell letter to the jailer’s daughter, signed “From your Valentine,” and the letters he received and sent from jail to the friends who cared for him supposedly began the exchange of notes of affection for this holiday. The second story has St. Valentine executed by the Romans for performing secret marriages in defiance of Emperor Claudius II’s ban on marriage. Claudius wanted to keep his legions strong and he believed that only single men with no dependents should be in the army. He thought the lack of familial ties produced a better caliber of soldier. The third story features the Roman fertility feast of Lupercalia, celebrated on February 15, as well as the day designated to commemorate St. Valentine. During Lupercalia, young women were randomly picked by young men to be escorted to the festivities. This picking of a “sweetheart” began the tradition we have today of recognizing the object of our love. St. Valentine’s death most likely occurred around 270 CE. 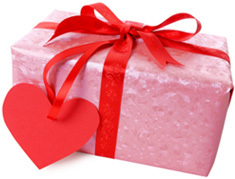 In 496 CE, in an attempt to purge any traces of paganism, Pope Gelasius declared February 14 to be St. Valentine’s Day. The merging of pagan and Christian feasts was not an unusual tactic as the early church sought to attract more followers. Interestingly, in 1969, the Catholic Church revised its liturgical calendar to reflect only saints with proven histories. St. Valentine was removed. Despite this obscure history and the saint’s demotion, Valentine’s Day gained a foothold in popular culture in many countries around the world. Cupid, Roman god of love, stringing his bow; Roman copy after Greek original by Lysippos. Musei Capitolini, Rome. So what does all this have to do with the biology of love? The cherubic Cupid is a familiar symbol of love and its sometimes capricious nature. The Greek god Eros, Cupid’s predecessor and son of Aphrodite, was known for his ability to take over the minds of gods and mortals with the power of love. The arrow piercing the heart is an apt expression of the emotion that overwhelms one in the throes of passion… requited or unrequited, as it were. While the ancients ascribed love to the gods, scientists are now able to map what happens to a brain in love when flooded with hormones and influenced by its genetic scaffolding. Researchers at the Albert Einstein College of Medicine in New York have isolated four regions of the brain that are circuited for love: ventral tegmental area (VTA), the nucleus accumbens, the ventral pallidum and the raphe nucleus. Ground zero for the emotions is located in the VTA. That area of the brain became illuminated when people identifying themselves as being in love were put into a magnetic resonance imaging machine (MRI). What’s interesting is that this area was the same for people not only currently in love, but also for those still professing love after 20 years. The VTA is part of the critical reward system in the brain—the system that controls much of what drives us as human beings. This is where dopamine cells flood other areas of the brain that affect reward and motivation. Under the influence of dopamine, areas of the prefrontal cortex, which is responsible for executive functions such as decision making and social behavior, were activated, while the amygdala, associated with fear, was temporarily shut off. Here’s the flip side—this is the same area that is associated with drug addiction. In a very real sense, love and addiction, at least to our brains, are the same. And if that’s not bad enough, when love goes wrong the brain reacts even more strongly in the area of the nucleus accumbens, also correlated with addiction. So there really is a reason that love can be a risky business. All the heart-shaped boxes of chocolate, the wafting smell of roses and the sweet whisperings of a loved one can only mean one thing: our brains are at it again. Beware! NOTE: “sister” and “brother” in ancient Egyptian poetry and music connoted an intimate, not necessarily incestuous, relationship. 1. 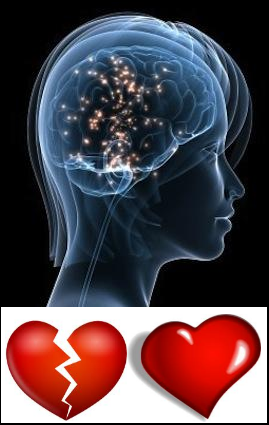 Associated Press, “The science of romance: Brains have a love circuit.” Feb. 11, 2009 02:29 PM. This entry was posted in Biology, Blog, Holidays, Public Life, Science and Technology and tagged ancient history, AntiquityNOW, brain, Claudius, history, St. Valentine, Valentine's Day. Bookmark the permalink.